Happy Friday! I hope you had a great 4th of July. This week it just seemed like a good time for some pirate jokes. Why did the pirate become such a good boxer? He had a great right hook. Why do pirates carry a bar of soap at all times? In case of shipwreck it will wash him ashore. 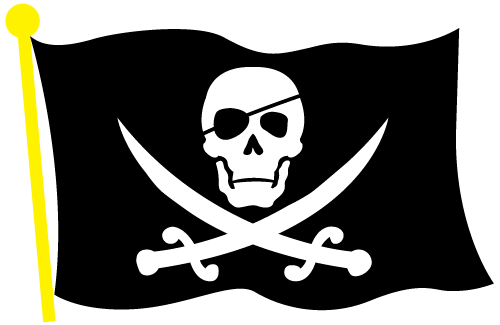 How much do pirates pay for piercings? Why couldn’t the pirate play cards? Because he was sitting on the deck. What is a pirate’s favorite kind of cookie? Where did the one-legged pirate go for breakfast? To err is human. To arr is definitely pirate. This entry was posted in Friday Funny, Humor and tagged Pirates on July 6, 2017 by Leonard. Great pirate jokes! Thank you!